EMC Planning Group prepared a land use feasibility report to be used as an informational package for prospective buyers. 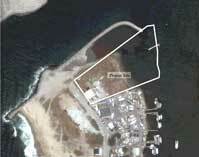 The study included a review of opportunities and constraints, an overview of potential technical issue areas, a description of the permitting process, and three potential development scenarios for two parcels totaling approximately 4.5 acres on Moss Landing Harbor in Moss Landing, California. The project parcels were previously utilized as an aboveground diesel tank farm operated through the 1950’s. The tanks were subsequently removed and soils were excavated to mitigate any contamination. Only two small buildings are currently present on the project site, both of which are being used as part of a ceramic molding company. 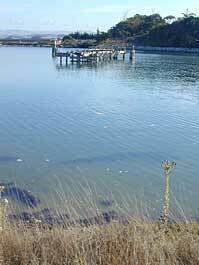 An abandoned pier, currently inaccessible from dry land, ends at the eastern parcel boundary. The property is subject to regulations established in several Monterey County documents and ordinances, including the Monterey County General Plan, the North Monterey County Local Coastal Program, the Moss Landing Community Plan, the Monterey County Zoning Ordinance, and the Moss Landing Harbor District Ordinance. Due to the location of the parcels along harbor waters and within an industrial area, a number of issue areas were reviewed to determine what level of analysis would be necessary as part of a development application. These included topography, floodplain/drainage, soils/seismic hazards, hydrology and water quality, tsunami impact, aesthetics, terrestrial and marine biological resources, cultural resources, hazards and hazardous materials, noise, and capacity of existing infrastructure. As one of only a few remaining undeveloped parcels with access to the Moss Landing Harbor within the Coastal Zone Management Area regulated by the California Coastal Commission, development scenarios focused on marine-dependant or visitor-serving uses. The three development scenarios include: a marine industrial office or warehouse with boat slips, a marine office or laboratory with a dock for a research vessel, and a visitor-serving boutique hotel.